Providing transportation to Danube Bend, Gödöllő. Taxi, Bus, Limousine Service. The small town of only 30 thousand inhabitants could be deservedly called as the cradle of Hungary. Approaching it you can see the Esztergom Cathedral, the biggest church in the country. It is about one hundred metres high, the interior diemater of the dome is 33.5m. Entering the building the visitor is confronted by the largest altar canves in the world. The oldest object in the collection of the Cathedral Treasury is a depiction of the Crucifixion carved in rock crystal and made in Metz in 870. 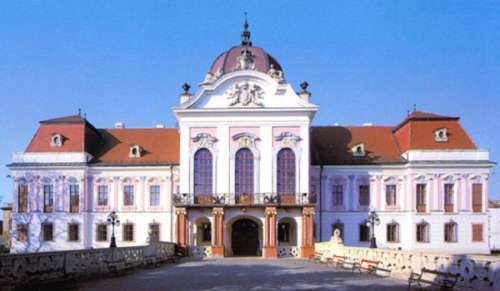 In Esztergom (in the Biblioteka) the visitor can find also Hungary’s oldest book collection which has 250 thousand volumes, including manuscripts and early printed books. This town can be found across the Danube in front of Nagymaros. 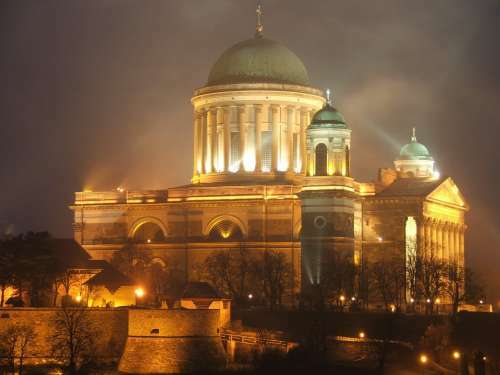 It was first mentioned in texts referring to the contruction of the royal palace in Esztergom in 1002, when Stephen I. Made the settlement the centre of Pilis Country. 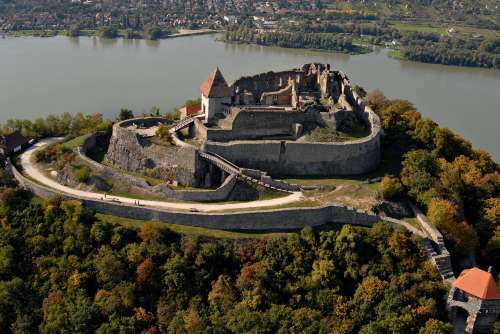 In the 13th century it was the building of the royal palace and the fortress by what Visegrad came to prominence. Its golden age came to an abrupt end in 1543 when the town fell into the hands of the Turks. The tourists can visit the palace, the Mathias Corvinus Museum and the rolyal copuple’s private garden. 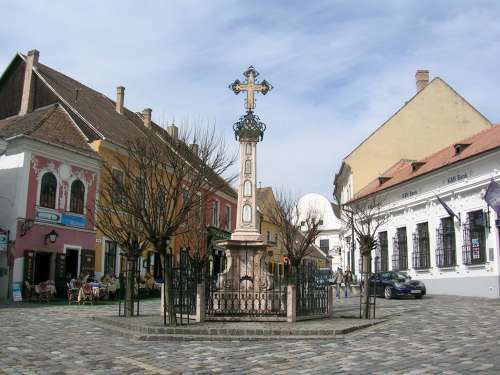 This small town lying very close to Budapest has a history dated from the Illyrian times. Szentendre was an important station of the Danube limes, and was named after Saint Andrew the Apostole. Following the Tatar invasion the town fell into decline until the 14th century, when Szentendre once again grew in importance. The block of houses on the eastern side of the main square is perhaps the best example of mercantile architecture in the town. The houses were built together under a common roof following a fire that ate up the buildings at the beginning of the 18th century. Each of the five houses still has its original layout. Visiting all Szentendre’s exhibitions and museums is no mean feat, as there are so many of them. We would highten the followings- the pottery artist, Margit Kovacs’s museum, the Marzipan Museum, the Lajos Dobos Coffee House and Museum (where the traditional hungarian cake- the Dobos cake comes from). The south-western buttress of the tower (the tower of the Roman Catholic Church) has one of the county’s oldest sun dials.